The Cincinnati Bengals are taking care of their star defenders ahead of Week 1. Mere minutes after the agency representing Pro Bowl defensive tackle Geno Atkins announced an extension, Cincinnati has reportedly signed star defensive end Carlos Dunlap to a three-year, $45 million extension. 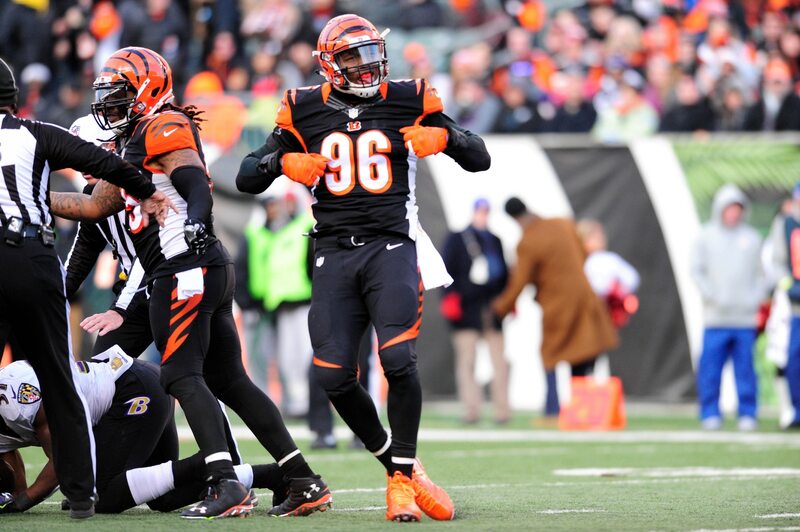 Bengals and DE Carlos Dunlap agreed to a 3-year, $45 million contract extension, per source. With this new deal, the 29-year-old defensive end receives a huge raise from the five-year, $39.3 million deal he signed with Cincinnati back in 2013. Dunlap’s average annual salary of $15 million now ranks among the top-six defensive ends in the NFL. A second-round pick of the Bengals back in 2010, Dunlap has earned two Pro Bowl appearances in his eight seasons with the team. Last year alone, the former Florida standout racked up 7.5 sacks for Cincinnati.